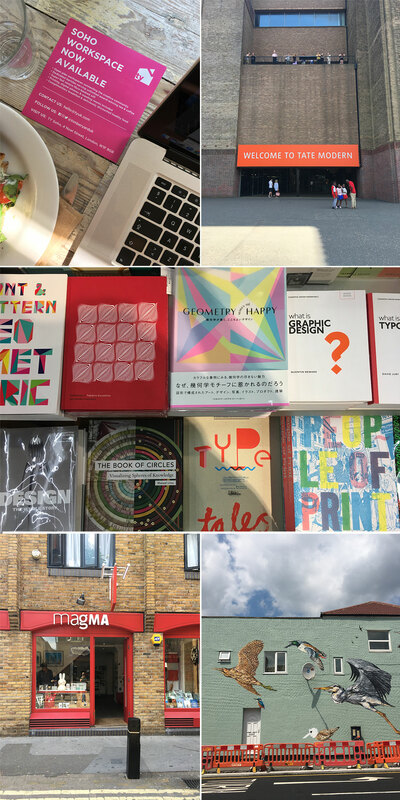 TRAVEL AND INSPIRATION | Staying in London is always great, working in nice cafes, visiting bookstores and Tate Modern, walking along the streets looking for signs, typography and illustrations. TRAVEL AND INSPIRATION | OFFF takes place in Barcelona annually and is inviting all those who are eager to learn to participate and get inspired in a three-day journey of conferences, workshops, activities and performances. It’s a combination of Offline/Online designers, Motion Designers, Thinkers, Sound Designers, Graphic Designers, Theorists, Developers, Professionals, Students… Putting the titles aside, OFFF is made for the curious. 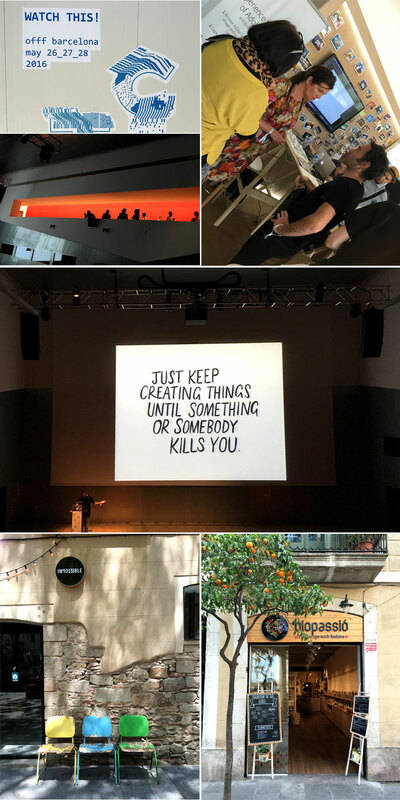 Together with author Gunn Merete Roll and graphic designer Kirsten Stangvik I went to the OFFF festival in Barcelona in May to get three days of inspiration. Barcelona itself is fantastic and also very inspiring; Ten days looking at outstanding architecture, signs, typography, colors, the beach, tasting good coffee and food – just to mention something. 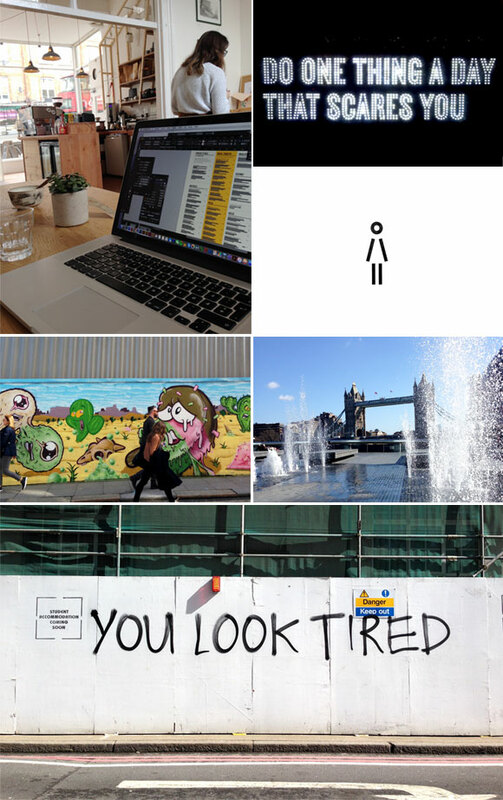 TRAVEL AND INSPIRATION | Went to London for a week to work and get inspiration. Bringing my Mac, working in cafes in my neighborhood, wandering around to look at typography, signs, visiting museums, galleries, bookstores, listening to Messiah by Handel in Royal Albert Hall, walking, drinking coffee. Having a great time. 15 years since I went to London College of Communication. Nice to be back. 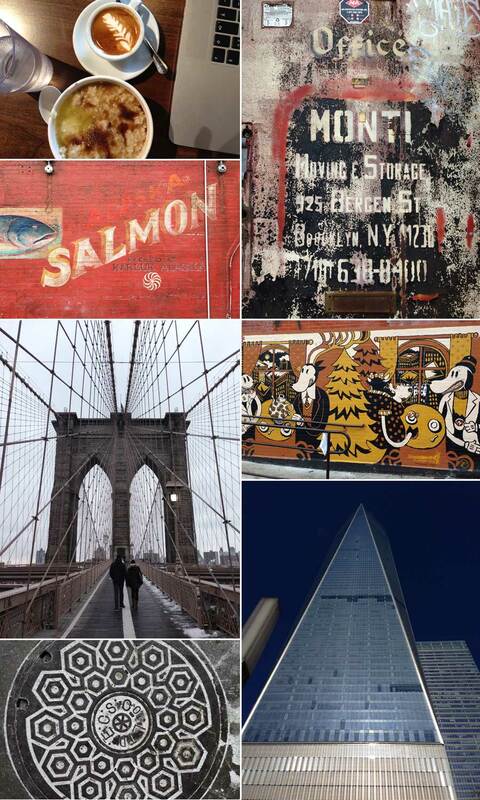 WORK | A new client including two days workshop, resulted that I had to go to Brooklyn, New York. In familiar style I extended the trip with a week where I worked in different places, letting me be inspired by The Big City; wall illustrations, typography, galleries, shops, manholes, people, coffee, food, architecture and everything else New York has to offer. It was freezing cold, but the coffee and the porridge was warm and delicious. 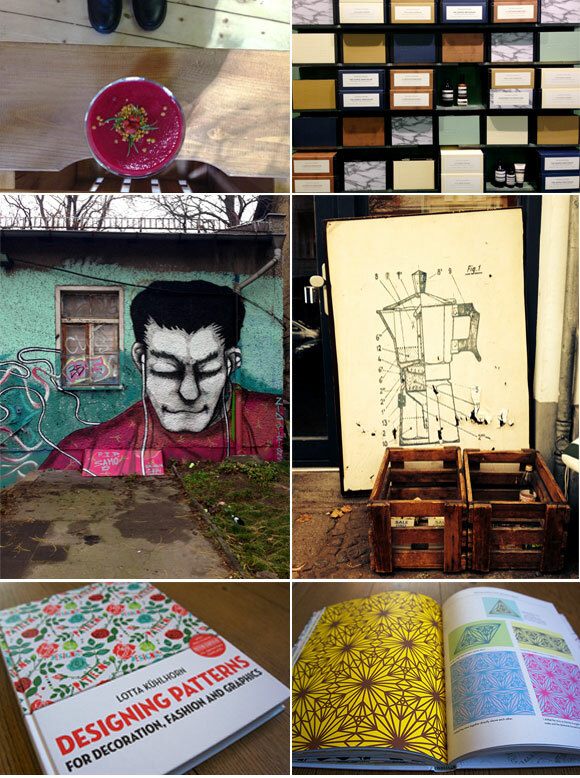 TRAVEL AND INSPIRATION | It´s always a great inspiration to visit Berlin. Even though it was a short trip this time, I brought my Mac and did some work. Otherwise I spent the days to let me inspire by everything Berlin has to offer; shops, wall illustrations, posters, signs, coffee, typography, smoothie, colours, the language and food to mention a few things. I also bought some books, one was Designing patterns by Lotta Kühlhorn, a great and inspiring book about how the author work and design various patterns. 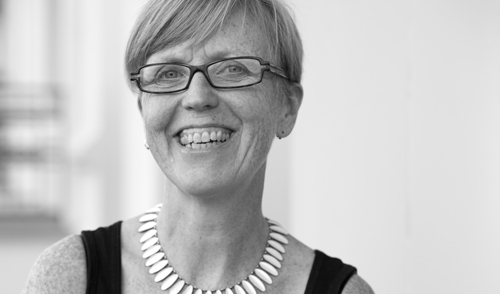 WORK | Three years has passed by since I visited Beijing for first time to have preliminary discussion with the Norwegian embassy and to meet Professor Xiaoguang Qiao regarding a paper-cut exhibition in China in 2014. After a lot of preparation, including designing a 120 pages catalogue, invitation, folder, poster, boards and wall texts – and an intensive final week for both Scandinavian and Chinese team members – October 1 we could finally open the first Paper Dialogues exhibition. 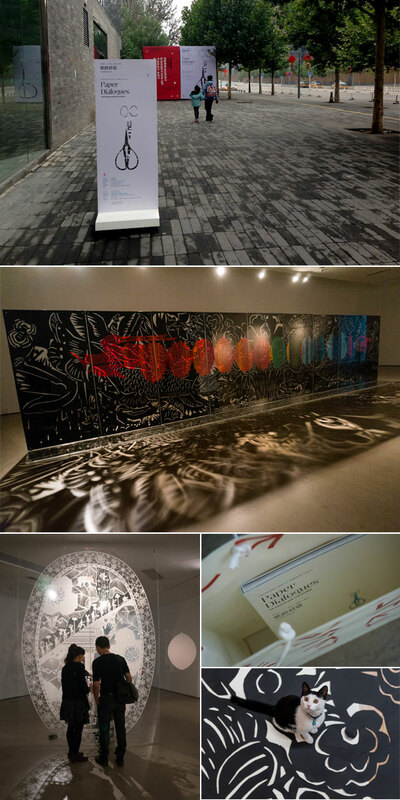 It has become a beautiful an evocative installation in Today Art Museum in Beijing with artists Xiaoguang Qiao and Karen Bit Vejle. The official opening was October 5, a lot of people attended, including the Norwegian Ambassador Svein Sæther. The exhibition will also be shown in Liu Haisu Museum in Shanghai, Vigeland-museet in Oslo and in Nordenfjeldske Kunstindustrimuseum in Trondheim. Read more about Paper Dialogues here. See more from the catalogue here and the visual identity here. 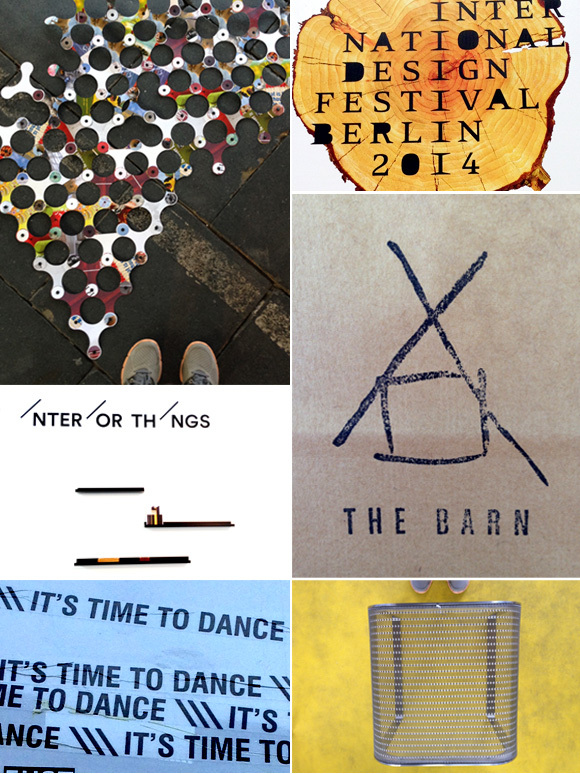 INSPIRATION | Visiting Berlin and the International Design Festival was a great inspiration. 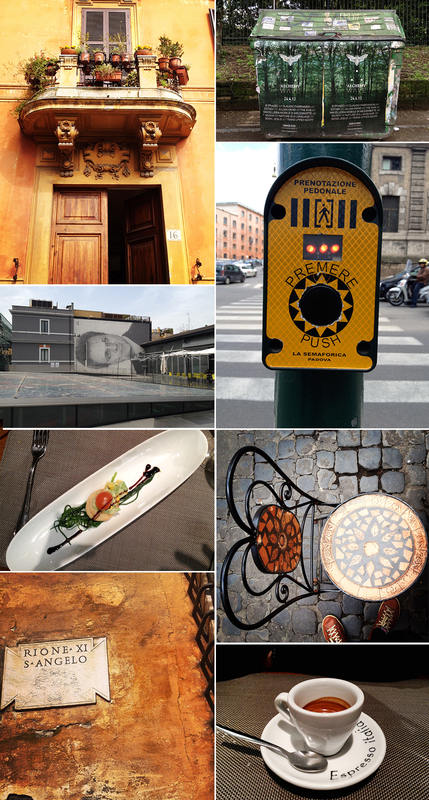 I like to be inspired by many things; product design, typography in public spaces, colors, patterns, posters and cafes. TRAVEL | Even though this was a vacation trip, I spent time looking at details, colors, typography, architecture, food, exhibitions, walls, posters, illustrations, decor, cars, furnitures and magazines. Rome is a lovely city. TRAVEL | Followed up my trip to Beijing in 2011. Eight days of researching galleries and museums in connection with a possible exhibition and book. 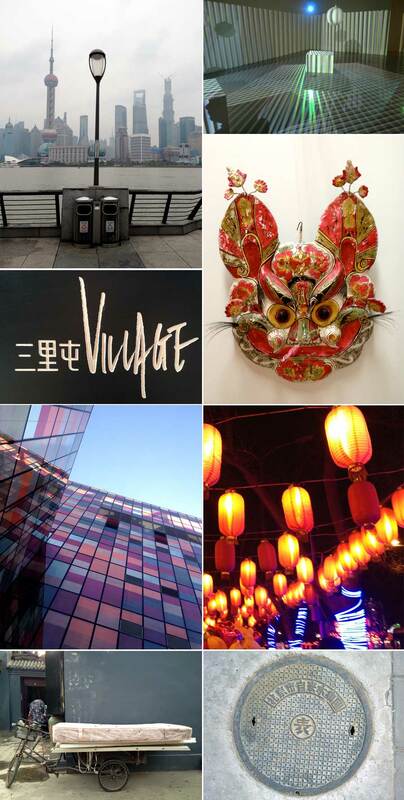 Many meetings, dinners, coffees, great art, exhibitions, pollution, millions of cars, high speed train from Beijing to Shanghai, large contrasts, exciting architecture and nice people.